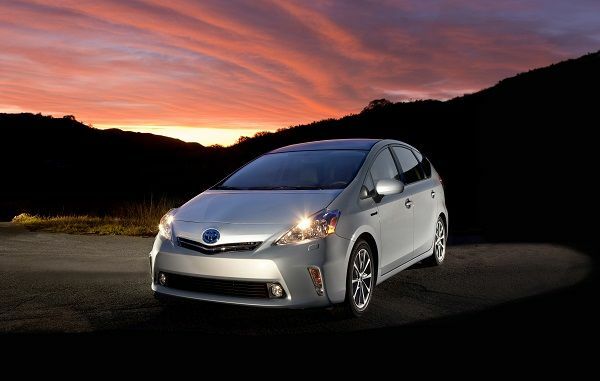 In August Torque News reported on Toyota’s plans to create and all-new Prius. This was not a speculation story. Rather, Toyota’s managing officer, Satoshi Osigo held a formal press conference to discuss his vision of hybrids. At the time the most difficult goals he outlined were to continue to increase the Prius’ fuel efficiency by 10% as it has in past redesigns. Also, he shared his vision that fully a third of cars would be hybrids. However, in a little noticed comment to Automotive News, Toyota revealed that it has a much harder goal in mind. It wants the next Prius to have an emotional impact on its drivers. Having driven the Prius family of cars, I can tell you I do already get an emotional response. That response I get is called it annoyance. I get annoyed that they handle sloppily, are slow as molasses, and I am not that fond of the brakes. Other than that I love the car. Kidding aside, the design chief at Toyota, Simon Humphries, told Automotive News "The biggest challenge is that quite simply, when Prius was first initiated, there was only Prius as a hybrid. That was enough to be different. At the moment, we've got a hybrid in virtually everything. I hope that the next-generation Prius is an emotional hybrid car." This concept of building an emotional or compelling green car is all the rage. Elon Musk clarified that Tesla Motors’ goal is a mass-market, compelling EV. Honda tried a few years ago to inject some excitement in a mass-market hybrid, the CRZ. It has failed miserably. These are the world’s top green car manufacturers and they are all seeking the same objective; An “affordable” green car that the majority of drivers don’t hate to drive. To save as much fuel as possible current cars have to carry heavy batteries. They also have to use as little energy as possible while accelerating. Hence, the result is sloppy handling and glacial forward progress. Nobody makes an affordable, compelling, or emotional 50 mpg car. Toyota has joined Tesla in seeking that goal. Game on. The problem as I see it is that most hybrid and/or EV buyers aren't people who are passionate about what they drive. There are Prius and EV enthusiast groups but there are miniscule compared to every other segment's fan group. There needs to be an EV or hybrid that people start by saying "wow...this is a great looking car" and then they become more surprised when they find out that it is a hybrid or EV. Instead most people can look at any EV or Hybrid and guess that it is a green car based on the funky styling. I have a good friend who has a Prius and he doesn't care about it being stylish or plush inside...he cares about being able to drive way under the speed limit and get 65mpg. Because of that, the vast majority of EVs and Hybrids are clearly designed with the idea of form follows function and that results in cars that "car guys" don't like...unless you have something like that $100,000 Tesla Model S and regardless of how great it is, that car doesn't solve any of the world's problems. It seems to me that even though Tesla Model S is very expensive, the success it has had has prompted other manufacturers to look to EV or EV hybrids that they may not have considered before. Take for example Bob Lutz making electric trucks and vans, VIA. Would he have had the motivation and funding to take that on without Tesla? What about Mercedes looking for more collaborative projects with Tesla, or BMW doing more electrics? Elon Musk began Tesla because he saw with the failing of the first EV1 that government regulations by itself cannot change the industry; only commercial success and competition can. Thus in its own way, Tesla Model S has began to change the auto industry and fossil fuel use in transportation. I think you are spot on Charlotte. Elon Musk and his company have been a very disruptive force in the auto industry - for the better. As crazy as it sounds, now comes the hard part. Having owned 2 Priuses before getting my Model S, I agree that Prius is a good car, and depending upon what you compare it to it handles fine. BUT compared to the Model S, it is sluggish and slow as molasses ;-) I know that Model S costs ~3 times what a Prius costs, but I would not go back to a Prius. After all, no oil change, in fact the only fluid you can put in the thing is windshield wiper fluid. Thank you JayZ for this wake-up call. It pains me that you think I don't love the Prius. I have written many glowing stories about the Prius. Recently. Here at TN. See the "Toyota" link to the right for examples. Yes, I have driven the Prius, and continue to regularly usually at IMPA events in the spring and fall. Let's not use adjectives and adverbs. Instead lets look at numbers. At about 11 seconds (some Prius years can do it in 10) the Prius is among the slowest accelerating vehicles in the US market. That is a fact. Not my opinion. I still love the car and appreciate its huge sales numbers (topic of a recent story praising the Prius). However, as Toyota acknowledges, cars like its tC,or the Mazda 3, or even Hyundai Veloster offer way more smiles per mile. Toyota wants to get the awesome mileage and some fun in the car. It is not there yet. I am careful not to insult Toyota, but I do offer all sides of the story. Here I am trying to praise Toyota for their efforts to improve their Prius (I did a story on the new Prius and it was a love letter). I don't mind appearing dumb or undistinguished, but I feel like I failed if you think I am not a fan of the Prius. I could put links here, but they are all to the right. Draw your own conclusions. I appreciate your feedback. I do try to elicit a response. No apologies for that. BTW, love your work. Say hello to Beyoncé from all of us. You think the Prius is a medium sized car? Compared to what, a VW? I haven't had one and wouldn't I know too many people that have bought and sold them because opf the hype of what they thought they were. If you want to drive one in the city and stay in the right lane OK, but please stay off of the interstate with the big boy cars!